Geely is undertaking an ambitious electrification project. By 2020, it wants 90 percent of the vehicles it sells to be powered (at least in part) by electricity. And the first step along that path takes the form of the Emgrand EV you see here. 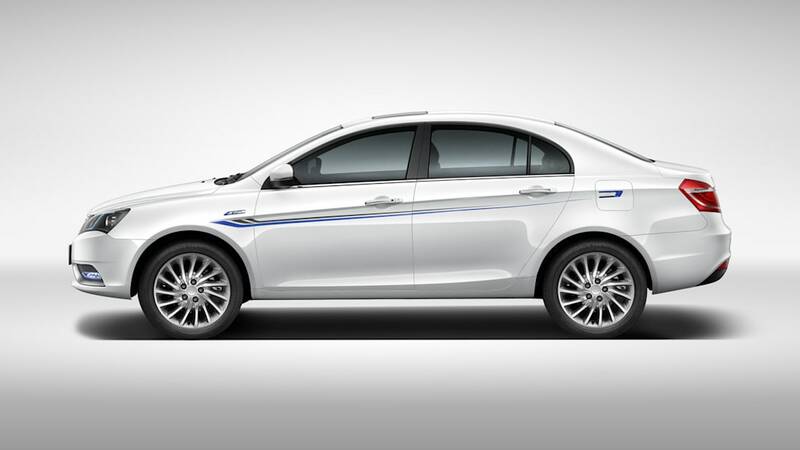 Unveiled today in Guangzhou, China, the new Geely Emgrand EV is closely based on the existing internal-combustion model. But instead of a four-cylinder gasoline engine, it packs an electric motor good for 127 horsepower and 184 pound-feet of torque. The juice is stored in a 44.8-kWh battery pack that will travel at 37 miles per hour for up to 205 miles before needing to recharge, or 157 miles at varying speeds. The Chinese automaker hasn't provided full performance specs, but it says that the Emgrand EV will reach 50 kilometers per hour from a standstill in 4.3 seconds. 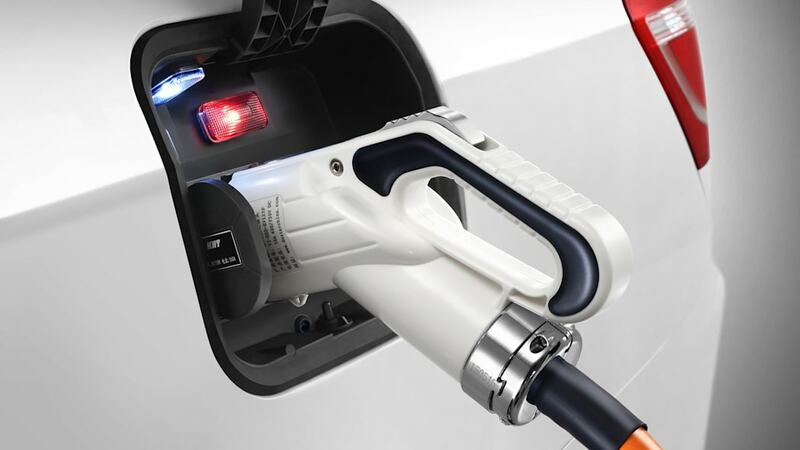 The Emgrand EV is equipped with two charging ports to allow for two different charging rates. Plug in to a regular socket and it'll take 14 hours to complete a full charge. But a quick charger will do the job in just 48 minutes. The driver can also choose between ECO, ECO+, and Sports driving modes to optimize economy or throttle response, with the dashboard illumination changing from blue to orange in the process. According to the manufacturer, the existing Emgrand is the best-selling domestic sedan in China, with over 850,000 sold to date - including 160,000 in the first ten months of this year. The new electric model forms the first part of the Blue Geely Initiative. The plan is to transition most of the company's lineup from internal-combustion engines to alternative energy. That means EVs, hybrids, and plug-in hybrids in the near future, but also hydrogen and metal fuel cells in the longer term. Of the 90 percent of its sales which it aims to electrify by 2020, it anticipated that 65 percent will be hybrids (with or without plugs) and 35 percent will be pure EVs. The next step will see Geely models based on the Compact Modular Architecture it's developing with its subsidiary Volvo. Geely's versions will be powered by 1.5-liter turbo plug-in hybrid powertrain mated to a seven-speed dual-clutch transmission. Next year it also plans to roll out a new hybrid powertrain in the A and A+ segments to reduce fuel consumption incrementally by 40-50 percent. November 18th 2015, Guangzhou. Geely Auto today unveiled the Geely Emgrand EV, the first high speed electric vehicle from China's fastest growing automaker. On November 18th, Geely Auto announced its 'Blue Geely Initiative' which will see the company transform into a new energy vehicle manufacturer with over 90% of its sales coming from new energy vehicles by 2020. 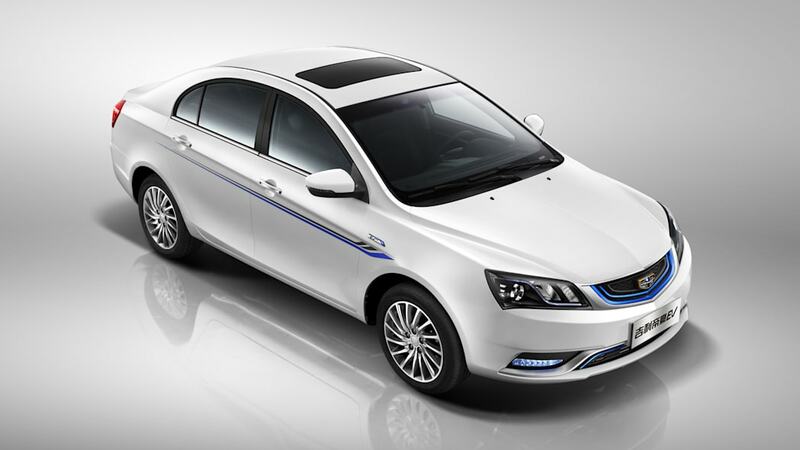 The Emgrand EV is the first step in Geely's ambitious new Blue Geely new energy initiative. The Emgrand EV is virtually the same body style as the strong selling petrol version which measures 4631 x 1789 x 1495mm (LxWxH) with a 2650mm long wheelbase. 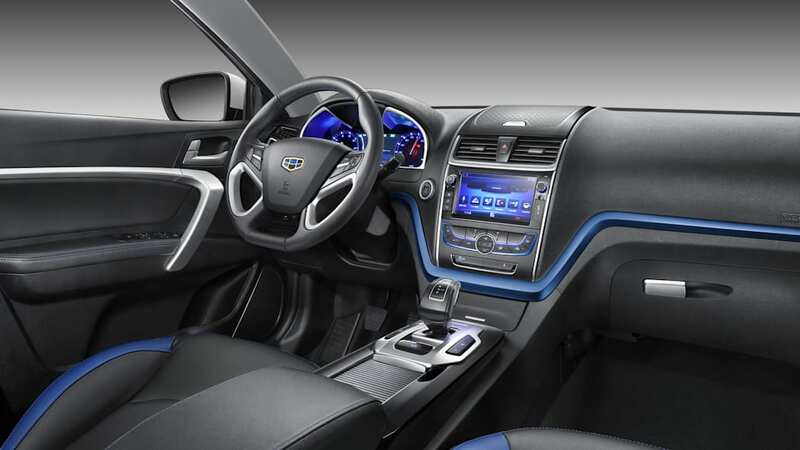 To highlight the Emgrand EV's pure electric drivetrain the Emgrand EV has received a design update which includes a revised grill that has blue overtones running through it, the front wings of the vehicle have also gained an EV badge whilst on the interior the same blue overtones run through the dashboard and on the leather seat upholstery. Power for the EV comes from a 44.8kwh battery pack that allows the Emgrand EV to travel 330km at 60km/h or in a combined driving environment reach 253km. The 95kw motor will produce 250Nm of torque and will reach 0-50km/h in just 4.3 seconds. When driving the Emgrand EV users are given three driving options; ECO, ECO+ and Sports mode. The first two options allow for lean and ultra-lean operation whilst sports mode will provide greater reaction to the accelerator pedal, when in ECO modes the Emgrand EV's dashboard will remain in a blue color, but once the driver moves to sports mode the dashboard will change to a sports orange color. The dashboard also displays remaining range, battery capacity and real time energy use. The Emgrand EV is equipped with two charging ports; slow charge and fast charge. Home users can use a regular socket to charge their vehicle with a full charge from zero to full capacity requiring 14 hours, users whom install the fast charger or have access to a public fast charger will reach a full charge within 48 minutes from zero capacity. Costs of running the Emgrand EV are exceptionally low when compared to a traditional gasoline vehicle. 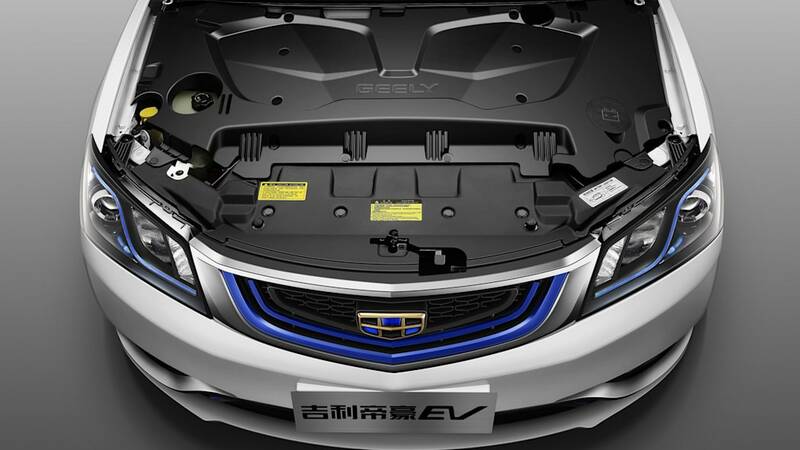 The Emgrand EV uses 15.8kWh of electricity per 100km, with Hangzhou charging 0.54RMB per kWh of energy meaning every 100km of driving costs just 8.5RMB (1.34USD/1.24Euro), a fifth of what a gasoline version would use over the same distance. 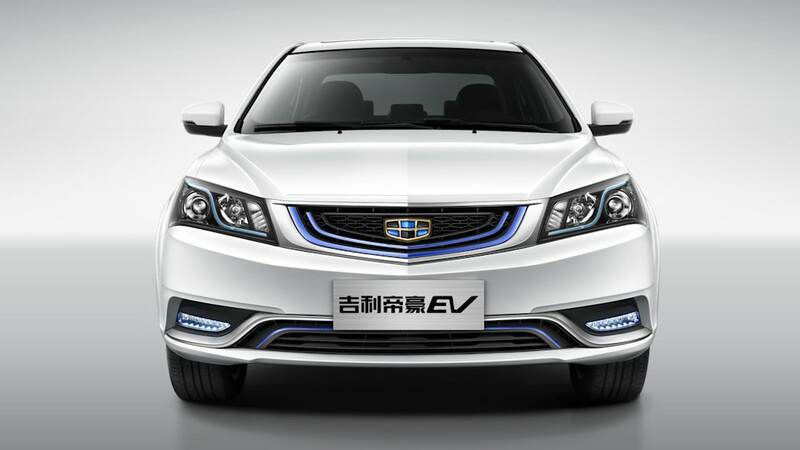 The Chinese Central Government is currently offering a 54,000RMB subsidy for the Emgrand EV which is being matched by local governments, giving the Emgrand EV a subsidy of 108,000RMB within China, however subsidy levels are varied between different cities. Geely also offers a 4 year, 100,000km warranty on the Emgrand EV and a further 5 year, 100,00km warranty on the powertrain. Geely Auto has a strong track record in safety which shows in the Emgrand EV with its strong passive and active safety systems that include a ninth generation Bosch ESP system, Traction Control System (TCS), Vehicle Dynamic Control (VDC), Hill Hold Control (HHC) and a Regenerative Braking System (RBS), Electronic Parking Brake (EPB) and Electronic Power Steering (EPS). 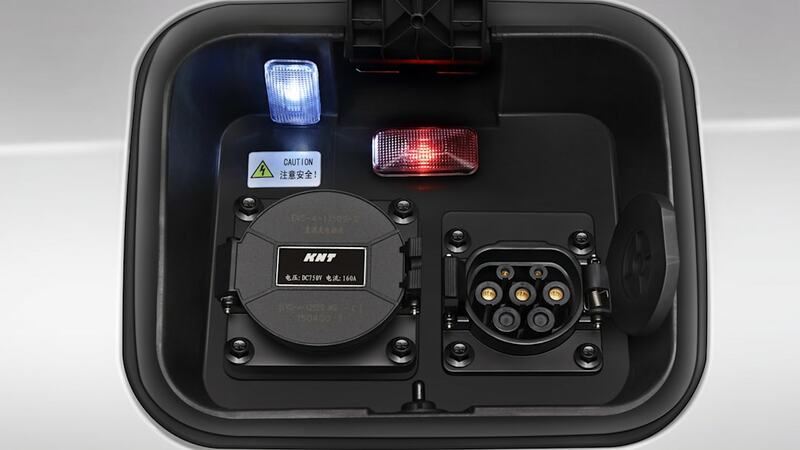 Battery safety is paramount in electric cars and Geely has undertaken seven safety tests to emulate the stresses that the battery pack will under go in the evening of a serious accident; these test include fire, direct strikes, and piercing to prove the battery pack is safe for use within the Emgrand EV. 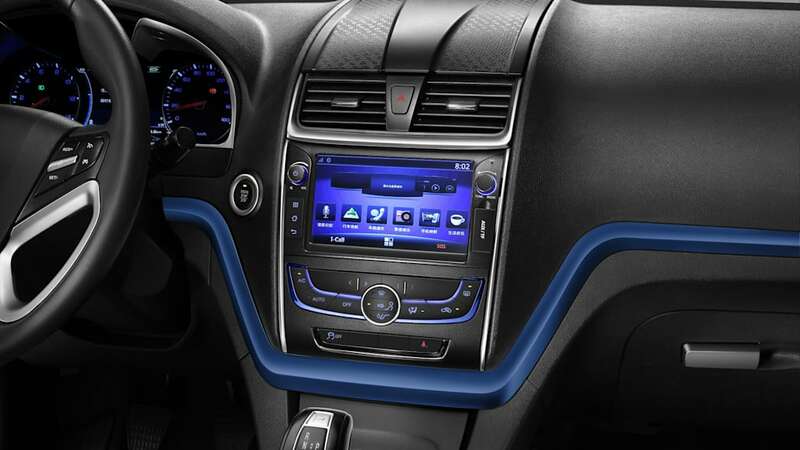 The Emgrand EV is equipped with Geely's G-Netlnk intelligent automotive system which allows users to project their mobile phone screen directly onto the cars onboard entertainment system to easily use existing mobile phone navigation applications. 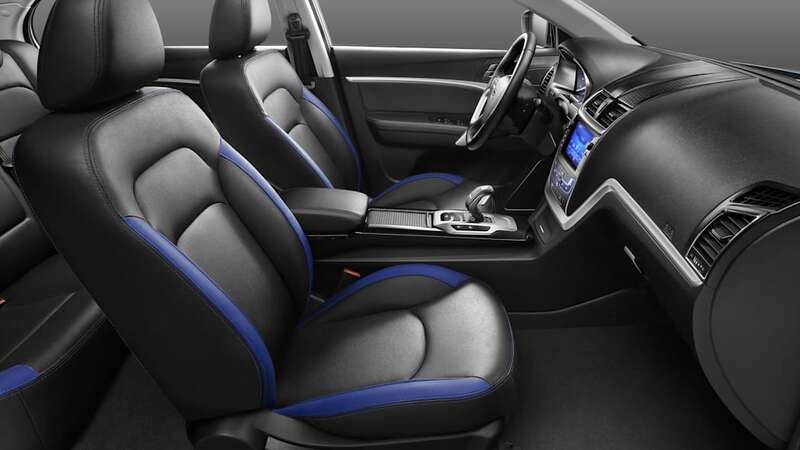 Geely Auto's engineers have also spent a great deal of time in perfecting the noise levels in the Emgrand EV; without the drone of an engine in the background a new level of NVH work is required to keep the cabin free of road noise. Since its introduction six years ago, the Emgrand family of vehicles has reached sales of 850,000 units. In October 2015, the Emgrand saw sales of 20,079 units whilst over the first ten months of 2015 the Emgrand family had a combined sales total of 160,000 units, making it the best-selling domestic Chinese sedan. As the first vehicle from the 'Blue Geely Initiative', the Emgrand EV has been well received by first clients whom include the Diplomatic Personnel Service Bureau in Beijing which is part of the Ministry of Foreign Affairs and also the popular CaoCao Car Rental service. 18th November 2015, Guangzhou. Geely Auto Group's (Geely) announced its ambitious new energy initiative, Blue Geely, which will see Geely move from focusing on traditional combustion engine technologies to concentrating entirely on new energy vehicle sales and development. Geely has established five key aims that are an essential part of the Blue Geely Initiative. Geely is committed to environmental concerns and improving the world in which it operates, hence Geely is committing to lowering its average fuel usage across the range to meet and exceed the Chinese governments mandated average fuel consumption of 5 liters per 100km (5L/100km). 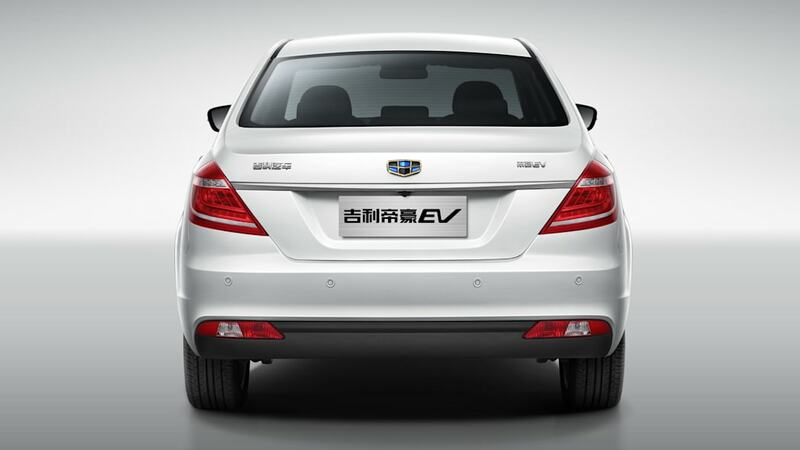 By 2020 Geely aims for 90% of its vehicle sales to consist of new energy vehicle sales. Geely will achieve this by introducing three core technologies that will be made up of pure electric vehicles (EV), plug-in electric hybrids (PHEV) and hybrid electric vehicles (HEV), these three technology solutions will be based around two existing vehicle platforms and one vehicle architecture. Furthermore, Geely expects that by 2020 its new energy sales will be split into 65% PHEV and HEV and 35% EV. Geely's FE and PE platforms will be used to create mid-range and high end pure electric and hybrid electric vehicles, with the first vehicle being the Geely Emgrand EV which is capable of 330km on a single charge. 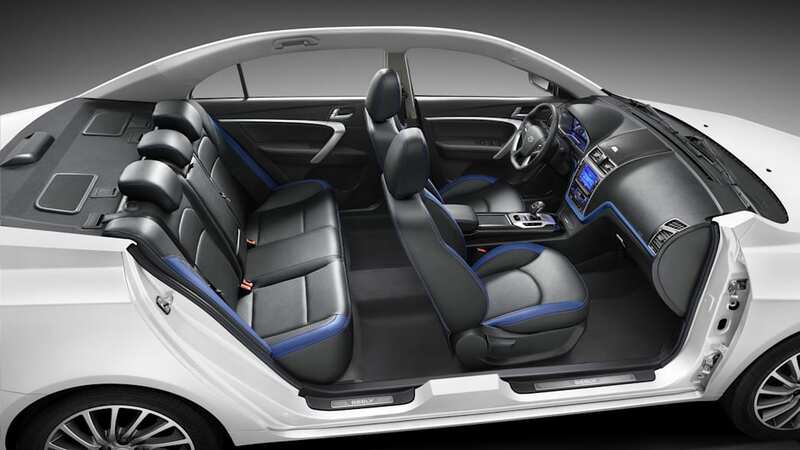 The Emgrand EV is Geely Auto's first pure electric vehicle and is based upon the best-selling Emgrand series, the Emgrand EV boasts a 0-50kph time of just 4.3 seconds and both rapid and slow charging facilities for use at home and public charging facilities, a full charge at a public fast charging station will take 48 minutes to reach full capacity. By 2018 Geely aims to boost the range of its FE platform based electric vehicles to 400km which will use a maximum of 13kWh of electricity and then further boost range to 500km whilst using just 8kWh of electricity. Geely has invested heavily in developing a global research and development footprint that has led to the creation of the China Europe Vehicle Technology Center (CEVT) in Gothenburg, Sweden. CEVT have been instrumental in developing the Compact Modular Architecture (CMA), a new generation of scalable architecture on which Geely will be able to develop a multitude of new products. Geely's CMA vehicles will use a plug-in hybrid system with a 1.5 Turbo Direct Injection engine and a 7 speed DCT gearbox which will allow for fuel consumption of just 2 liters per 100km, by 2019 this will drop to 1.8L per 100km and then fall to 1.5L per 100km by 2020. Geely has continuously carried out research and development work on electric hybrid systems over ten years with Geely developing its own unique hybrid electric solution. Geely will introduce the electric hybrid into A-Segment and A+ Segment vehicles in 2016 with expected fuel savings of 40% in the first phase, in the second phase this will increase to 45% by 2018 and by 2020 this will increase to 50%. With the introduction of the Blue Geely initiative, Geely will save 4.2 million tons of oil and reduce Co2 emissions by 3 million tons when compared to traditional vehicle sales over the same period. Geely is committed to environmental concerns at every step of production; from supplier selection to end user emissions, Geely aims to create a mobile world that is greener than ever. Geely's global R&D footprint allows the company to develop and ensure the quality of industry leading technologies, with a global R&D staff of over 2500 engineers based in Gothenburg Sweden, Coventry UK, and Hangzhou China, Geely is well placed to make the Blue Geely initiative a reality from 2016 onwards. To further the Blue Geely initiative, by 2020 Geely will sell its plugin electric vehicles at a similar price level as current traditional internal combustion engine vehicles to bring new energy dreams to a wider populace. Geely Auto Group CEO, Mr. An Conghui commented: "Geely is officially stating that it will be the first automotive company in China to reach the governments vision for a 5.0L/100km fuel directive by 2020. We aim to allow consumers to realize their dream of driving powerful, extremely fuel efficient vehicles, we are extremely confident in our Blue Geely Initiative; it will become a core part of our corporate social responsibility and development plan. Blue Geely's five core tenets will push Geely to the very forefront of the Chinese automotive industry with highly competitive vehicles."